The magnificent island of Anchieta charms us with its natural marvels combining sea and forest and enchants us with its historic-cultural heritage narrating a few pages of Brazilian history. 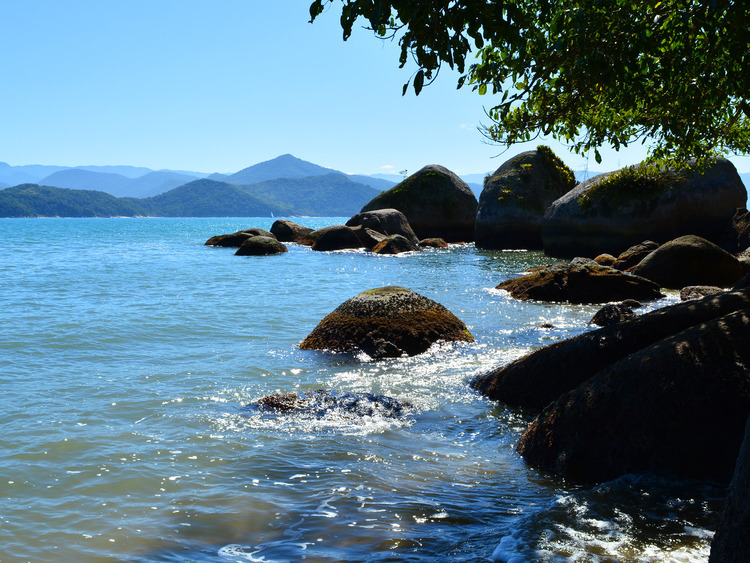 We reach Ilha Anchieta by boat, an island off Ubatuba that is the second largest along the Sao Paulo coast, and one of the main tourist attractions in the area. As we get closer along the crystal-clear waters, the island’s sinuous lush outline appears before our eyes. The branches of the luxuriant vegetation almost touch the blue ocean. A protected nature reserve is located on the island, where we can observe magnificent rare birds and fish living undisturbed in their natural habitat. Ilha Anchieta tells us something about the history of Brazil: inhabited by the Índios since the early 19th-century, it was turned into a penitentiary in 1902 until the facility closed in the early 1950s after the inmates rebelled causing the first big crisis in the country’s public security system. During our excursion, we visit the prison ruins, a series of evocative buildings that take us back in time with their decadent stone walls and rusty window bars surrounded by the forest which, wherever it can, tries to reconquer the lost spaces.